Parhelion and SugarCave (Liz Faure, guitar; Alishan Gezgin, piano; Addy Sterrett, vocals) team up for an exciting evening of new works for trios. Featuring a world premiere by Daniel Felsenfeld and music by Wendy Griffiths, Sidney Boquiren, Philip Glass and SugarCave! The Parhelion Trio and Mazumal duo join forces to present a double bill at Spectrum, performing new works written for the ensembles in 2018. Featuring a world premiere by Daniel Weymouth and New York premieres by Annika Socolofsky, Sonia Jacobsen, Bahar Royaee, and Inti Figgis-Vizueta. Admission: $15 general, $10 student/senior. Tickets at the door. Featuring NMFS faculty and Ensembles-in-Residence. Works by Bela Bartók, Eugene Drucker, Anna Thorvaldsdottir. Eugene Drucker, Guðný Guðmundsdóttir, Anne Sophie Andersen, and Gróa Margrét Valdimarsdóttir, violins. This final exciting installment of chamber recitals presented by NMFS faculty and artists features a WORLD PREMIERE by Eugene Drucker (NMFS Faculty; violinist, Emerson String Quartet). Sponsored by New Music USA and commissioned on behalf of NMFS 2018 Festival, Drucker's premiere is a full-length string quartet inspired by the theatrical/poetic narratives of Shakespeare and Levertov. Also featuring works by Derek Bermel, Anna Thorvaldsdottir and Eivind Buene, this concert is bursting with creative energy. Tickets: DKK 100. DKK 50 for students and RAMA/RDAM faculty. Free for RAMA/RDAM students. Faculty, Artists- and Ensembles-in-Residence, and festival participants. This year's gala concerts feature the NMFS chamber orchestra in Bela Bartók's Divertimento, alongside works by Vagn Holmboe and Bent Sørensen. The program also highlights works by NMFS faculty composers Mari Kimura, Eivind Buene, and Simon Steen-Andersen. This concert by NMFS ensembles in residence and guest ensemble Lydenskab is dedicated to the theme of the 2018 festival: "Music inspired by Folk Music". Featuring works by Max Stoffregen, Line Tjørnhøj, and the premiere of a new work by Nikolaj Busk written for the three ensembles. Tickets: DKK 100. DKK 50 for students, RAMA faculty, and members of Aarhus Musikforening. Free for RAMA students. Trumpetcello, a contemporary classical duo featuring Nolan Tsang and Jillian Blythe will join Orbits, a flute/clarinet duo featuring Sarah Carrier and Ashleé Miller of The Parhelion Trio for an evening of electroacoustic works, improvisations, and projections. Featuring compositions by Andrew May, JacobTV, and Gregory Hoffman. Admission: $10 cover + one drink ($10) minimum. For reservations, call 212-989-9319. Join us for a new season of chamber music at the Brooklyn Conservatory of Music! Orbits, a flute/clarinet duo of The Parhelion Trio performs and chats about contemporary works by Faye Ellen Silverman and Robert Muczynski. The concert includes a complimentary reception. Brooklyn Conservatory of Music Concert Hall, 58 Seventh Ave.
On Sunday November 12, Le Petit Salon de Musique presents Parhelion Trio in recital at Unitarian Universalist Fellowship at Stony Brook. Featuring exciting works by iconic American contemporaries including Paul Schoenfeld, Jennifer Higdon, Derek Bermel and Sunny Knable alongside beloved classics by Brahms and Debussy. Unheard-of//Ensemble and Parhelion Trio join forces to kick off the first concert of the 2017-18 season. Program TBA. "Flute Clarinet Duos Consortium Retrospective Concert"
In their 17th season, the Flute Clarinet Duo Consortium presents a retrospective concert of previous commissions for the consortiu by Derek Bermel, Libby Larsen, Valerie Coleman and Pierre Jalbert. Featuring The Parhelion Trio, Holden/Olin duo, Protea Trio and Reflections Chamber Ensemble. New Music for Strings Stony Brook Gala Concert presents New Music for Strings Chamber Orchestra, led by Philip Setzer and Eugene Drucker; The Parhelion Trio; Rachel Schutz, soprano; Steinem Quartet, and Three Village Chamber Players. Works by Simon Steen-Andersen, Eugene Drucker, Ludwig van Beethoven, Bent Sørensen, Samuel Barber, and Loïc Destremau. Works by Alex Mincek, Jennifer Higdon, and György Kurtag, and from the Yarn/Wire residency. 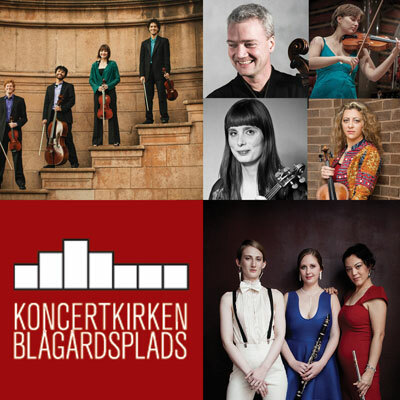 Works by Simon Steen-Andersen, Eivind Buene, Derek Bermel, Mari Kimura, Anne Sophie Andersen, Daniel Weymouth, Sheila Silver, David Cutright, and Tania León. Led by Philip Setzer and Eugene Drucker from the Emerson String Quartet, New Music For Strings presents its annual gala concert, this year at Carnegie Hall's Weill Recital Hall. Celebrate the second season of New Music for Strings with performances by The Parhelion Trio; Rachel Schutz, soprano; Steinem Quartet, and Three Village Chamber Players; and New Music for Strings Chamber Orchestra. Works by Gerard Grisey, Per Nørgaard, Eugene Drucker, Ludwig van Beethoven, Bent Sørensen, Samuel Barber, and Joan Tower. MArch 4, 2017 at 8:00pm. Featuring the World Premiere of a new work by renowned composer Sidney Boquiren, join us on Saturday March 4 for an exciting evening of contemporary music at Adelphi University's Performing Arts Center. Come celebrate the conclusion of Parhelion's Spring New Music XII Residency at Adelphi University. Performing works by Paul Schoenfeld, Jennifer Higdon, Derek Bermel, Sunny Knable, and Daniel Felsenfeld with guest appearance by Felsenfeld as narrator. On Saturday February 18, Parhelion Trio returns to Cornelia Street Cafe for an encore performance. Join us for a drink and enjoy an hour of mesmerizing music by Paul Schoenfield, Derek Bermel, Jennifer Higdon, and Sunny Knable. Admission: $10, includes one drink. For reservations, call 212-989-9319. On Wednesday May 18, Parhelion Trio will compete in the semi-final round of the distinguished M-Prize International Chamber Music competition at the University of Michigan in Ann Arbor. "In a bid to identify and showcase the highest caliber of chamber music ensembles in the world, the University of Michigan has announced M-Prize, a new international competition that will present a grand prize of $100,000—the largest award of any competition of its kind. Join the Stony Brook Chamber Ensemble presenting The Parhelion Trio at Three Village Church on Saturday May 14 at 7:30pm. Works by Jennifer Higdon, Philip Glass, Paul Schoenfield, Derek Bermel, Sunny Knable, Claude Debussy, and more! The Parhelion Trio after working with the New York Philharmonic Young Composers. Left to Right: Ashleé Miller, Jon Deak, Daniel Felsenfeld, Andrea Christie, and Sarah Carrier. Parhelion Trio will present a workshop at Lincoln Center in association with the New York Philharmonic Very Young Composers program. The New York Philharmonic Very Young Composers (VYC) was developed by noted composer (and former Associate Principal Bass) Jon Deak to answer the question, "what is children's music?" Working with Mr. Deak and Philharmonic Teaching Artists, public school children, with limited musical background, compose their very own music for Philharmonic musicians to play - often for the full Orchestra. Students make every compositional decision and write every note, with Teaching Artists serving as mentors and scribes. VYC demonstrates children's innate creativity, and provides a glimpse of the future of classical music. In their Cornelia Street Cafe debut on Thursday April 14th at 6pm, Parhelion Trio will present works by emerging, as well as iconic New York City composers including: Whitney George, Daniel Felsenfeld, Sunny Knable, Jennifer Higdon, and Philip Glass. They will be joined by narrator and composer Daniel Felsenfeld in a performance of Felsenfeld's delightfully bizarre and gripping composition "From Maldoror", based on the proto-surrealist poem by Comte de Lautréamont. Admission: $9, includes one drink. For reservations, call 212-989-9319. Andrea Christie will present a faculty piano recital at the Greenwich House Music School. Andrea will perform Frédéric Chopin's Four Scherzi and will be joined by the Parhelion Trio and pianist Andrea Lodge to perform exciting works by Igor Stravinsky, Claude Debussy, and Sunny Knable. Reception to follow. Wish us luck as the Parhelion Trio enters to compete in the semi-finals of the esteemed Concert Artists Guild Competition! On Thursday October 1, join us at Elebash Recital Hall for Parhelion Trio's most ambitious program to date. An entirely memorized chamber music program of works by Higdon, Schoenfield, Larsen, Connesson, Knable, Debussy, and Brahms. Admission is free. Parhelion Trio will perform Paul Schoenfield's "Sonatina." Also featuring works by Aperghis, Kurtag, Shapey, Murail, Stockhausen, Davidovsky, Takemitsu and O'Callaghan performed by IFCP fellows. Free admission. Wildshore Ensemble and Parhelion Trio at the Metropolitan Museum of Art. METropolitan MUSEUM of Art: "Ethel and Friends"
Join Parhelion Trio on Saturday 31st between 5pm and 8pm at the Metropolitan Museum of Art. Enjoy performances by Wildshore Ensemble and Parhelion Trio over cocktails and appetizers at the Great Hall Balcony Bar. Curated by ETHEL String Quartet. Featuring the premiere of two new compositions: a clarinet sonata by James Lindsay and "Sundog" by Sunny Knable. The program also includes works by Poulenc, Penderecki, and Schoenfield. Admission is free. The Composers Alliance of the CUNY Graduate Center, in a partnership with the DMA Performance Program present new works written by Graduate Center composers in Elebash Recital Hall on December 2nd, 2014. The Parhelion Trio will premiere an original work by Whitney George. The Concert is free, and open to all. "Chamber Music 1, 2, 3, 4, 5!" These concerts will feature Guillaume Connesson's Techno-Parade and a new work by Sunny Knable. The performances are shared with Mimi Stillman and Molly Barth. On Saturday May 31st at 7:00 pm the Parhelion Trio will perform a concert at the Levitas Center of the Arts at the Southampton Cultural Center. The program will include pieces written for the Parhelion Trio, as well as pieces by Beethoven, Brahms, and Hanson. Tickets are available at the door and in advance at scc-arts.org. The cost is $20 for general admission and $10 for students under 21 with an ID.